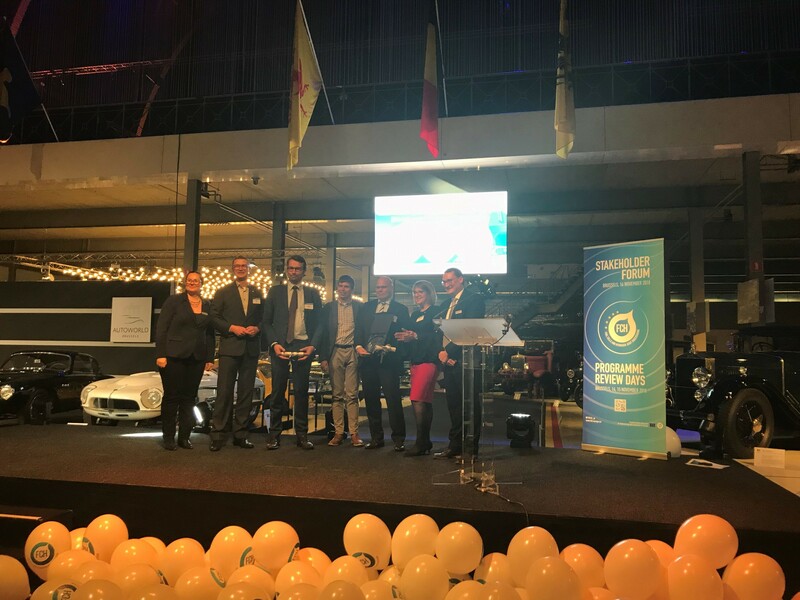 Hydrogen fuel cell technology is ready and set to power Europe’s sustainable development, it was revealed last week at a high-profile Awards Ceremony in Brussels, as the Fuel Cells and Hydrogen Joint Undertaking (FCH JU) rewarded its top projects for innovation excellence. Hans Korteweg, Managing Director of COGEN Europe, received the FCH JU Success Story Award for strong results in two ground-breaking projects: ene.field and PACE. “Power to the people describes the very essence of our projects which demonstrate the value of hydrogen energy to households and businesses. Fuel Cell micro-Cogeneration transforms European energy consumers into active ‘prosumers’, creating a decentralised energy system with a reduced carbon footprint, improved local air quality and lower energy bills” said Korteweg. Element Energy wrote the successful proposals for both projects and is involved in the delivery of the projects as technical coordinator overseeing the trial activities and analysis partner conducting the customer survey analysis and modelling business cases. This entry was posted in Hydrogen and Fuel Cells, Project Management, Transport. Bookmark the permalink.